Do you hear the church bells ringing? Oh yes, wedding season 2018 is fast approaching. Chances are, your letterboxes have been rattling with 'save the date' notices for a while now and before you know it, the big days will be kicking off. This month is a prime time for tying the knot, with 1.4 million couples registered on one wedding website getting hitched on August 18th alone! However, after the excitement of sending back your RSVP to the blushing bride to be, sometimes wedding worries can set in. 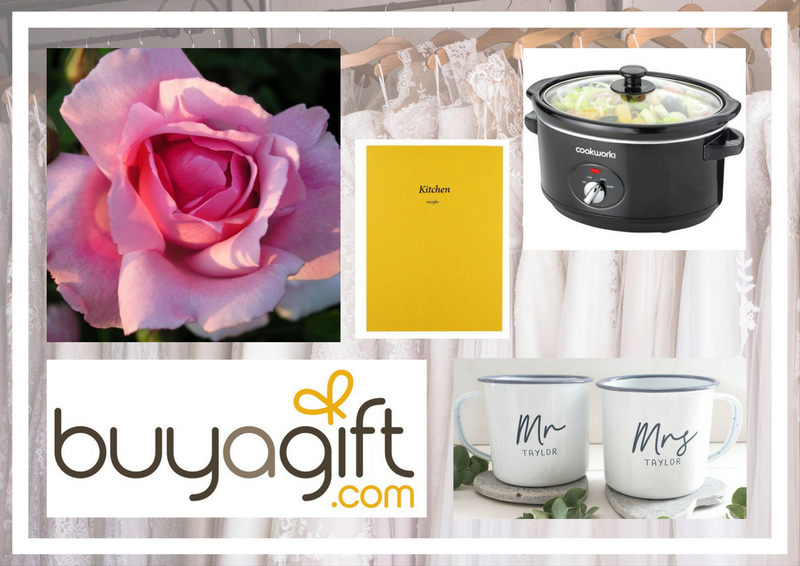 Choosing the ideal outfit, accessorizing appropriately, and selecting the perfect wedding gift for the happy couple can be a bit of a daunting prospect. But thanks to the joys of the internet, it's easier than ever to get things right. 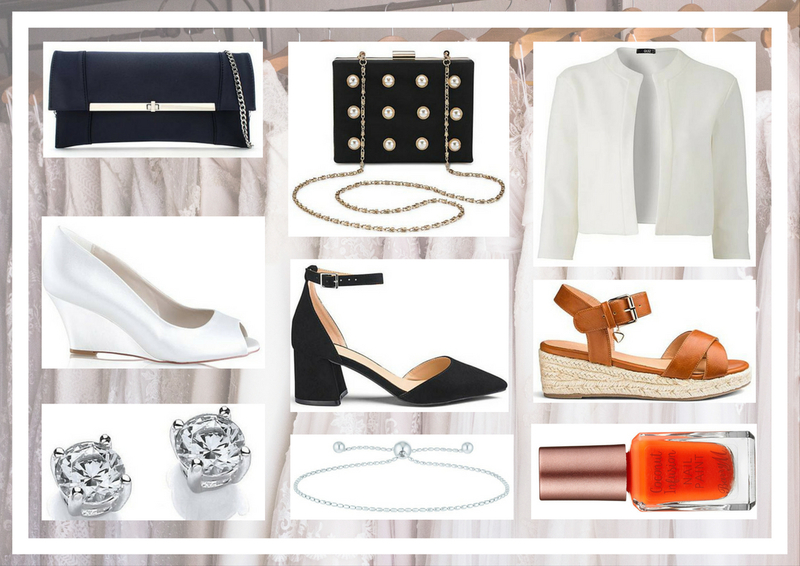 I've put together a guide to what to wear, how to accessorise, and how to select the perfect gift, which you can shop directly from your sofa. The golden rule of womenswear at weddings is, of course, do NOT wear white. Unless of course, you want to be thrown out of the venue by a very angry bride within 5 minutes of your arrival. 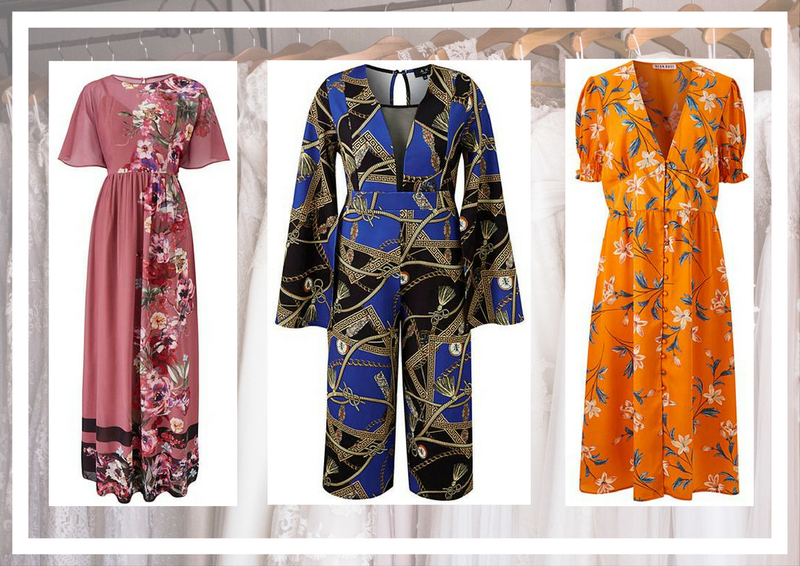 Thankfully, there's a huge selection of Simply Be dresses in a variety of beautiful colours and inclusive sizes ready and waiting for you. The first of my three favourites is a beautiful pink maxi dress embellished with flowers, which would look amazing at a summery venue. The floaty sleeves are something a little bit different, making you turn heads for all the right reasons. Secondly, I picked out a really loud and vibrant printed jumpsuit, which will look amazing when you're cutting shapes on the dance floor after a vodka or two. I'm confident that you could also re-use a jumpsuit like this for another occasion such as a meal out or a date night. Finally, the bright and vibrant theme continues with my final dress, a button-down orange number that would be ideal for a more casual wedding theme, or if you're just attending the evening portion of the nuptial festivities. Again, this would be a perfect candidate to re-wear, especially as part of your holiday wardrobe. Simply Be has you covered for all of your wedding accessories too. To continue the dressy theme of the pink printed maxi dress through the entire outfit, I'd team it with a sleek handbag and some peep-toe wedges. I love wedges because they're a lot more stable to walk in - as someone who struggles with tripping over my own feet with no heels on, anything that gives an extra bit of security is a winner! Since the dress is already beautifully patterned, I opted for very minimal jewellery, just a simple pair of Swarovski studs. For the jumpsuit, I selected an equally bold studded clutch bag and some simple pointed block heels (again for stability without compromising on style!). A dainty silver bangle completes the look. We're back with wedges again for our third outfit, this time I picked out some brown espadrille-style shoes. A sophisticated white jacket would be another great addition to this look, keeping you warm while you wait for your taxi after the party. You can add a final pop of colour with orange nail varnish to match the tones of the dress. Picking out a wedding gift that will stand out from the crowd can be a tricky task. Some brides and grooms prefer to receive money, perhaps towards a new house or a honeymoon, and this will always go down well as a present. If they're off abroad on their holidays after the wedding, giving them cash in the currency that they'll need out there is a thoughtful way of giving money. However, if the happy couple have left the option open to be a bit more creative, you can go wild! For the green-fingered couple, you can purchase varieties of roses with wedding themed names, such as a "Wedding Day" or even "Together Forever", to gift in a presentation box. These roses are a beautiful idea which will remind the bride and groom of their special day (and of your kind present) every time they look out into their gardens. To gift an experience to the happy couple, you can purchase vouchers from websites like BuyAGift for any value you choose and the newlyweds can then pick an experience to suit them, whether it's a spa break or afternoon tea. For a smaller DIY gift, you can even purchase blank recipe books and write in your tried and tested homely bakes and dinner ideas. Other budget-friendly ideas include personalised Mr and Mrs (or Mr and Mr, or Mrs and Mrs!) mugs with the newlyweds' names. Finally, for a couple who loves to cook, a new piece of kit such as a slow cooker will go down a treat. I use my slow cooker so regularly and they're a great addition to any kitchen. And there we have it, my guide to ultimate success as a wedding guest! You'll be top of all of the guest lists next year if you bear all of this in mind. 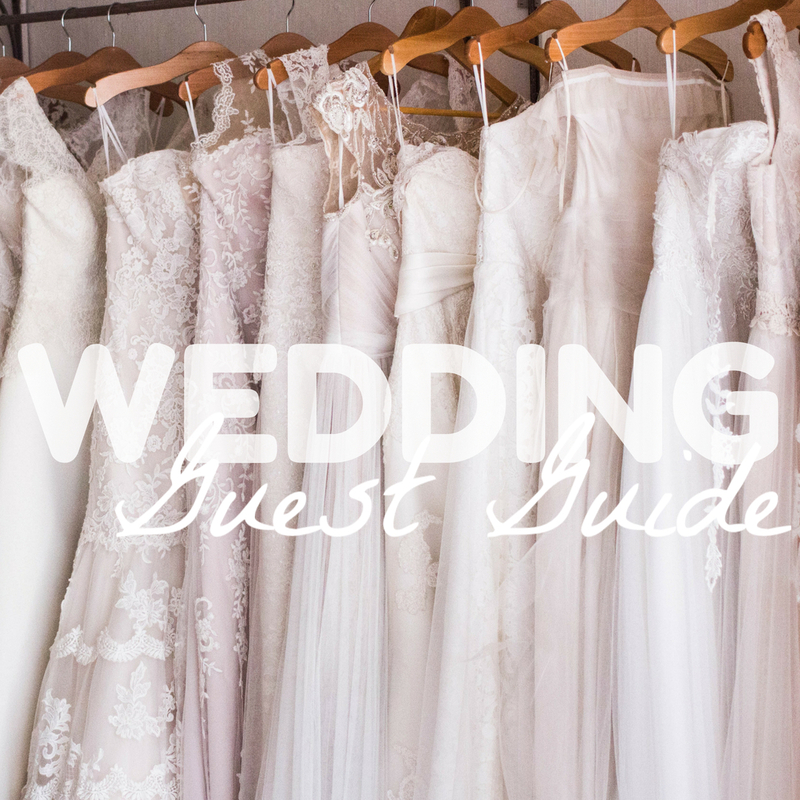 Do you have any wedding advice to add? Any outfit or gift ideas that'll really take the cake? Please leave them in the comments below.